At an event held in New Delhi today, Motorola finally launched it’s much anticipated Moto E5 and E5 Plus in India. Some of the biggest highlights of these two smartphones are the 6-inch display with an 18:9 aspect ratio, a massive 5000mAh and 4000mAh Battery battery, and the latest stock Android version. Both the smartphone will go on sale exclusively on Amazon India website from Wednesday, July 11, starting at midnight. 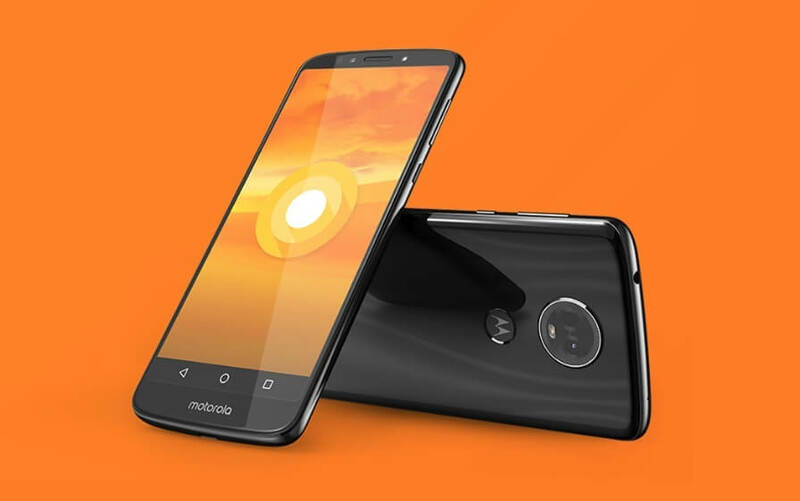 Moto E5 Plus comes with a reflective wave pattern and the curved back design, the all-new Moto E5 Plus packs a 6″ Max Vision screen and comes with a – massive 5000mAh battery that gives you power to enjoy up to 18 hours of video playback, 200+ hours of music playback or 20+ hours of non-stop web surfing and make calls to friends and family without looking at the battery bar. Capture sharp photos with a 12MP camera with large, 1.25um pixels and Laser autofocus that gives you great shots even in the dark cloudy days. And make room for more photos, songs, and movies with a dedicated microSD Card slot. The intuitive Moto Experiences in the Moto E5 Plus make the phone even better to use. With Moto Actions, your simple gestures make everyday interactions more convenient. Whether you’re shrinking down the screen with a simple swipe or silencing the ringer just by lifting up the phone, you can do more with less effort. Moto Display gives you a quick preview of notifications and updates, so you can see what’s going on without unlocking your phone. Just give it a nudge to see what’s new, then reply to emails and texts without even unlocking your phone. And when needed, unlock it instantly with just one touch of the fingerprint reader, conveniently located at the back of the phone in the moto batwings logo mark. On the other hand, Moto E5 comes with a 5.7″ Max Vision Display that gives you an expansive view, and the massive 4000 mAh battery keeps the fun going and allows you to enjoy movies for up to 14 hours on single charge. Moto E5 also includes phase detection autofocus on its 13MP camera and allows you to take clear photos without missing a moment. Moreover, make room for more photos, songs, and movies thanks to an extra microSD card slot. Moto E5 will be available exclusively online on Amazon.in and at all leading mobile stores across the country. It will be available in two color variants – Fine Gold and Flash Gray and is priced at INR 9,999.